I usually see the latest Coen brothers movie as soon as it comes out. It’s like a food craving; I can’t wait for the next one. “The Ballad of Buster Scruggs” is their latest. It’s six separate stories about the Old West. Well, the meal was a little unsatisfying this time. Still, one of the courses was delicious. All of them were well made, as might be expected. It’s just that four of the stories themselves were rather perfunctory, and dramatically slim. However, the second best one in the film, called “The Gal Who Got Rattled”, had real substance. Zoe Kazan travels west in a wagon train, with her near-do-well brother, who had arranged a marriage for her. Or maybe not. There’s an Indian attack, but it’s only middling. The one in the second story, with James Franco, is better – as scary, in fact, as the one in “The Revenant” – but the chapter has little else to recommend it. In any event, “The Gal Who Got Rattled” ends sadly, but Kazan gives a touching performance. No matter. 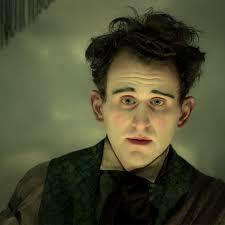 It’s the third story, the one with Harry Melling, that’s the keeper. Melling is brilliant as the “wingless thrush”. You’ll have to see it to know what that means. Liam Neeson is also fine as the “Impresario”. Even at just 20 minutes, it still belongs among the brothers’ finest. It comes off as the nastiest Chuck Jones cartoon you’ll ever see. And it has a great chicken. It’s the best featured chicken I’ve seen in a film since the one in Werner Herzog’s “Stroszek”, in 1977. 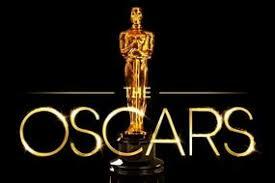 The Oscars nominees are in, and it’s a mixed bag. To me, the howling omissions are the only interest. This year, Paul Schrader was dissed for picture and director (“First Reformed”), although he got an original screenplay nod. Ethan Hawke is probably the most outrageous one for best actor. And I’d have liked “Burning” to get a nod for Best Foreign film (although I haven’t seen two of the choices). I hope Robbie Ryan gets it for cinematography (“The Favourite”). He’s amazing.